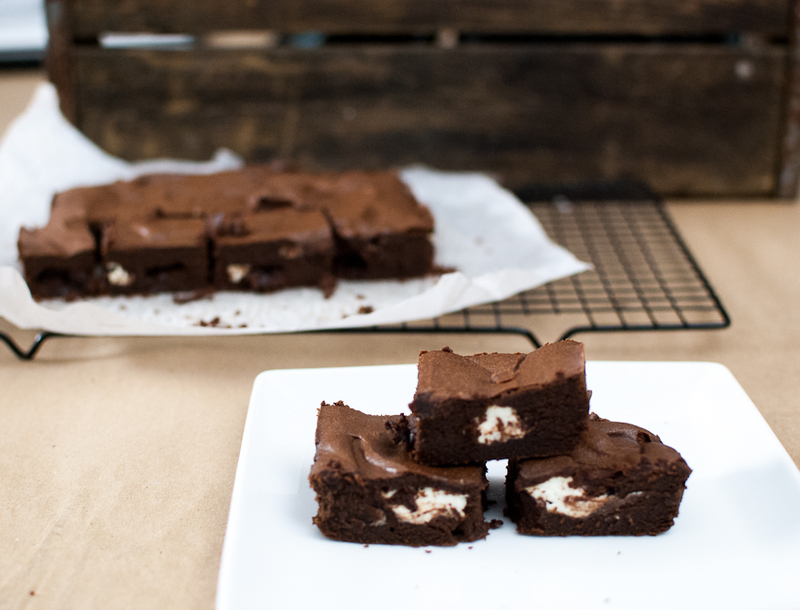 Goat cheese in a brownie? 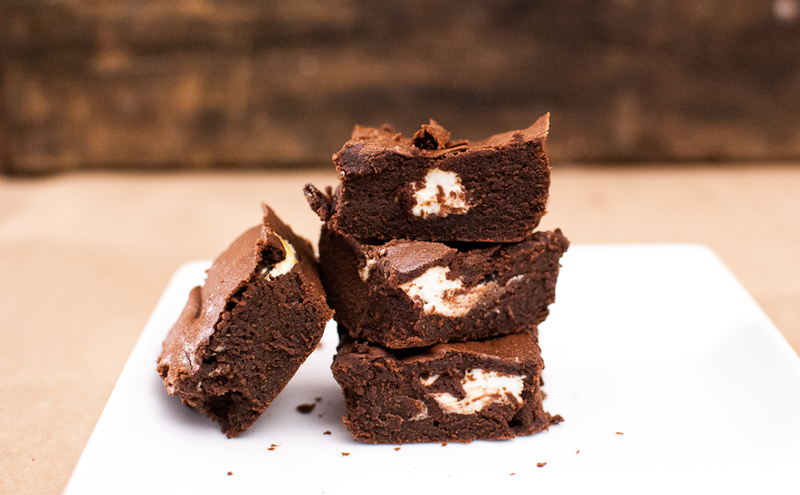 I have a weakness for brownies, or maybe that’s just anything with chocolate in it! Cherries and chocolate are even better! But I also love goat cheese, all cheese actually, cheese and chocolate…hmmm, sounds weird I know. No, nobody in this house is pregnant, this is not a weird random craving thing, but a really great brownie made from quinoa flour, some cocoa, goat cheese and dried cherries. The goat cheese in this lends a creamy texture, paired with the chocolate and cherries, it’s damn good! If you like nuts, you can also add them too. A little healthier for you than the regular brownie, this does not contain the refined white flour that wreaks havoc on your body, this is quinoa flour- made from the grain quinoa. A few quinoa facts for you: It is higher in protein and fiber…It is gluten free, yay for all our celiac friends out there!… Quinoa flour should be stored in the fridge for a longer shelf life. It can be expensive, quinoa flour costs a lot more than your regular baking flour. I find mine in the bulk section at Bob’s Red Mill. I love that store, I should own some stock in it by now! I don’t use this flour in all my baking, due to the cost and it can be a little tricky. Sometimes your baked goods will come out to gummy, so caution when using this if you try to swap it out in other recipes. Preheat oven to 325 degrees. Grease or spray with cooking oil and 9 inch square cake pan. Also line pan with parchment paper, then grease or spray the paper. This step helps tremendously to lift out the brownies. In a small saucepan on medium low heat, melt the chocolate and butter together, stirring until smooth. Set aside and let cool. Beat sugar, eggs and vanilla together until combined. Beat the melted chocolate mixture together. Then add the flour just until blended, next mix in the buttermilk. Top with cherries and goat cheese, then add the rest of the batter spreading evenly. 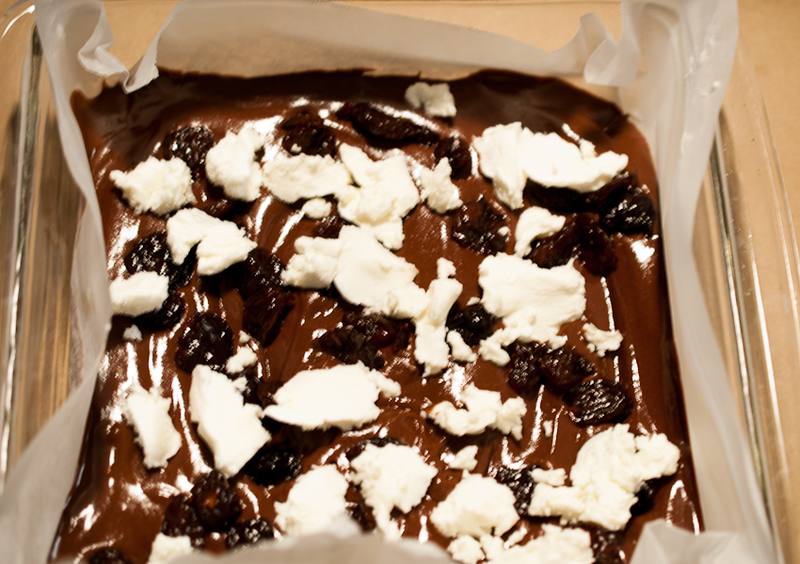 Bake for 30 minutes or until middle of brownies spring back when gently pressed. Cool in pan then transfer to a wire rack. Cut into squares when completely cooled. Brownies will stay fresh for 1 week in the refrigerator in a sealed container. 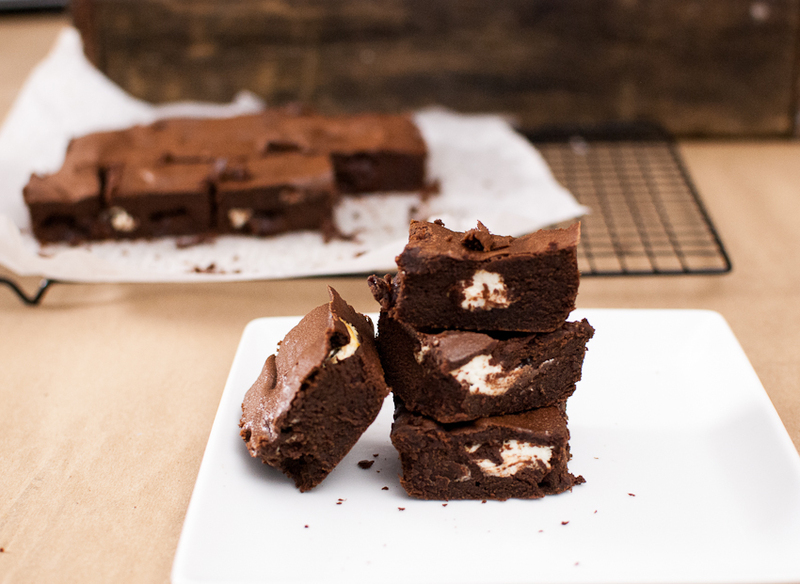 I want to try these brownies…..Did you use fresh cherries? If so do you think dried would work?